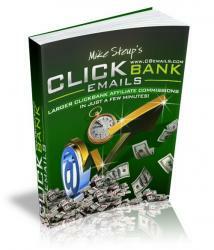 "These Message Sets, Just For ClickBank Affiliates, Creates Attentive and Receptive Readers Ready To Click and Buy and Puts Your Marketing On Autopilot. In Just a Few Minutes They Are Ready To Generate More Sales For You Automatically!" First, each Subject Line has been crafted carefully to create curiosity and high open rates . . . then we get into the body of the messages . . . But as we all know . . . sending a single message gets some sales, but over 60% of the real profits come from the 'follow-ups'. So I created 2 additional messages for each product being promoted, using a specific and proven successful method, that helps close even more sales for you automatically. 2) . . . The second Message puts them into an attentive state by using Q&A's about the product and answers any objections they may have so that they are pre-disposed to order the product now that their questions are answered . . .
3) . . . The third Message puts them into an attentive state by using bullet points to drive home important benefits so they click-through to order immediately . . .